By Tammam Beydoun, D.O., and Sharon Kreuer, D.O. Cystic right lower quadrant lesion. Cystic right lower quadrant lesions encompass a large differential diagnosis and multiple organ systems, including the genitourinary system in the female patient. 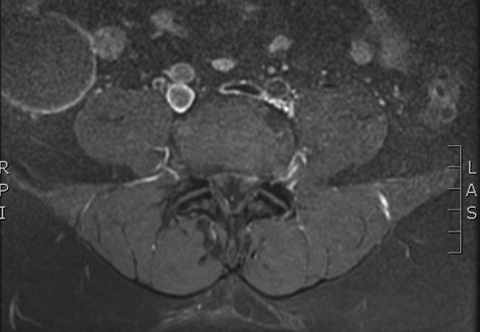 Clinical and laboratory findings may narrow the list of differentials; however, CT, MR, and US imaging assist in determining the composition, anatomic origin, and aggressiveness of a lesion. A concise and accurate differential diagnosis is of the utmost importance, guiding the decision for and the extent of surgical intervention. In the case of potential neoplasm, urgency is necessary, as rupture of a malignant lesion involves significant complications with the potential for peritoneal seeding. Mucocele of the appendix is a rare entity demonstrated in 0.3% of appendectomy specimens.1 On average, the diagnosis is made in the sixth decade of life and presents either as an incidentally found right lower quadrant mass or with pain.1 Complications include torsion, rupture, and, rarely, intussusception. There are three histologic subtypes of mucoceles, ranging from benign to neoplastic, including simple mucocele, mucinous cystadenoma, and mucinous cystadenocarcinoma. 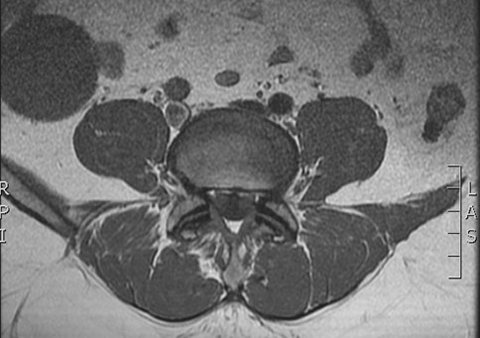 The most common subtype is benign mucinous cystadenoma, which is indistinguishable from a simple mucocele. Differentiation of these two entities is based histologically on mucosal hyperplasia. Mucoceles are mucin-containing cystic lesions with well demarcated thin walls, often demonstrating mural calcifications. Imaging findings are consistent with fluid signal characteristics on MRI with some variation on T1WI, depending upon extent of mucin content. Malignant mucinous cystadenocarcinoma contains solid and fluid components and demonstrates irregular, thick, nodular walls. Rupture and extravasation of mucinous content may lead to peritoneal seeding and pseudomyxoma peritonei. Preoperative diagnosis is crucial, as a right hemicolectomy is the preferred approach to a mucinous cystadenoma or cystadenocarcinoma to avoid seeding of the peritoneum. On CT, appendicitis classically presents as an enlarged appendix (greater than 6 millimeters) with thickened enhancing walls, and surrounding mesenteric inflammation.3 Associated findings include appendicolith, phlegmon, or frank abscess formation.3 Imaging evaluation may also be performed using ultrasound, especially in pediatric or pregnant patients. Sonographically, the appendix will be dilated and non-compressible with appendicitis. Surrounding fatty inflammation or fluid collections are helpful secondary signs. There are many types of adnexal masses, which from benign to malignant, with benign tumors being more common.4 Simple cystic masses of the adnexa are unlikely to be malignant and may be paratubal, paraovarian, or ovarian in origin.5 Many women are asymptomatic, and the adnexal cysts are discovered incidentally on imaging for other purposes. Cyst rupture or ovarian torsion may result when adnexal masses become large; symptoms include pelvic pain, nausea, and vomiting. The primary imaging modality when screening for adnexal masses is US. The US appearance of cystic adnexal masses varies based upon the etiology. Echogenicity, size, vascular flow, nodularity, and septations should all be assessed and commented on when evaluating adnexal lesions. Simple cysts are generally anechoic, have a thin or imperceptible wall, and no internal septations or vascularity.5 The CT and MR appearance of simple cystic adnexal lesions is that of fluid attenuation or signal and a thin wall that enhances with IV contrast. Complex internal characteristics, solid components, nodularity, and vascularity are suggestive of malignancy. US and CT are traditionally the chief imaging modali-ties used in the work-up and management of patients with appendiceal pathology. In addition, adjunct imag-ing with MR may be utilized to assist with diagnostic decision making in complicated cases. Generally, imaging is principally used to exclude possible differential diagnoses, as well as to evaluate for malignant characteristics and complications prior to resection. 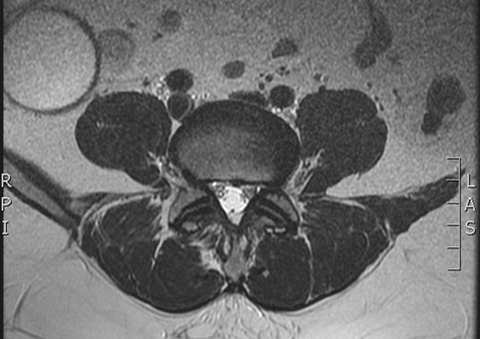 Oftentimes, imaging findings are representative of a specific pathology; awareness of these findings is valuable for making an accurate diagnosis. Madwed D, Mindelzun R, Jeffery RB. Mucocele of the appendix: imaging findings. Am J Roentgenol 1992;159:69-71. Curtin KR, Fitzgerald SW, Nemcek AA, et al. 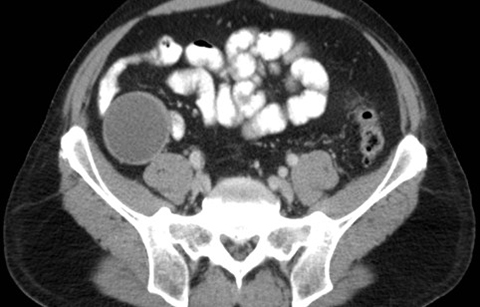 CT diagnosis of acute appendicitis: Imaging findings. Am J Roentgenol 1995;164:905-909. Grönroos JM, Paula Grönroos P. Diagnosis of acute appendicitis. Radiology 2001;219:297. Levine D., Brown DL, Andreotti RF, et al. Management of asymptomatic ovarian and other adnexal cysts imaged at US: Society of radiologists in ultrasound consensus conference statement. Radiology 2010;256:943-954. Jeong YY, Outwater EK, Kang HK. From the RSNA refresher courses imaging evaluation of ovarian masses. RadioGraphics 2000;20:1445–1470. Beydoun T, Kreuer S. Cystic Right Lower Quadrant Mass. J Am Osteopath Coll Radiol. 2012;1(4):32-34. Tammam Beydoun, D.O., and Sharon Kreuer, D.O. Dr. Beydoun and Dr. Kreuer work with the Department of Diagnostic Radiology, Botsford Hospital, Farmington Hills, MI.